Canoe lessons for children are available at many clubs and centres in London. 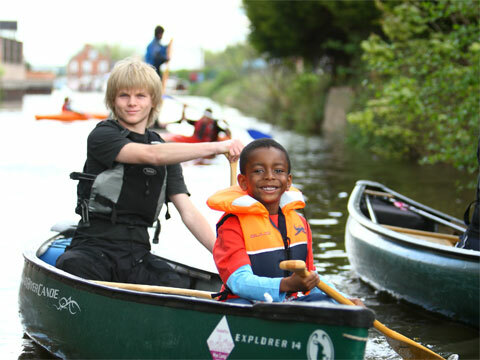 Many clubs and outdoor centres can provide canoe lessons for children in London. Many also specialise in school trips and children’s parties. For many children and teenagers, their first taste of kayaking is exciting and inspiring. If you would like to know more, please contact one of the following clubs or centres. Located in the heart of London’s Docklands at the west end of Millwall outer dock. Canoeing isn’t just for grown ups. Kids love getting out on the water and doing something different. Many of the canoe clubs in London welcome families and accompanied children under 18 and provide fun canoe lessons for children in London. Adults can often paddle at these clubs as well, but not always at the same time. To find your nearest London club please use the map below.